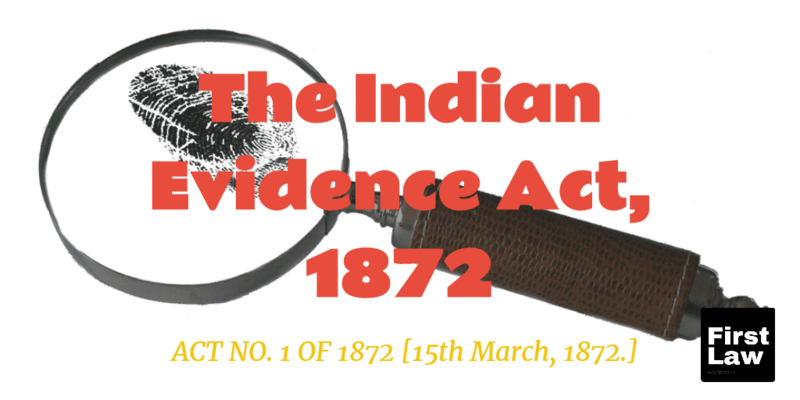 The Indian Evidence Act, 1872 - the scope of permitting parties to adduce secondary evidence after examining the probative value of the document in question. In the instant case it is not pleaded by the petitioner that most of the documents which the petitioner wants to prove to establish its case are misplaced. The original documents are, therefore, not found and cannot be produced in evidence by the petitioner. Secondly, the Photostat copies of the said documents are with the petitioners. Thirdly, the said documents were issued by the opposite parties and therefore, one set of the said document are presumed to have been in custody of the opposite parties. Under such circumstances, the learned trail judge ought to have directed the petitioner to issue notice upon the opposite parties requiring them to produce the said documents in compliance with Section 66 of the Evidence Act. If the opposite parties failed or neglected to produce the said documents in court, the learned trial court ought to have given an opportunity to the petitioner to adduce secondary evidence during trial of the suit. For the reasons aforesaid, I am of the view that the impugned order is liable to be set aside. Indian Chamber of Commerce -Versus- Eastern India Shippers Association & Anr. 1. In the instant revision under Article 227 of the Constitution of India, order dated 26th July, 2016 passed by the learned Judge, 7th Bench at City Civil Court, Calcutta in Title Suit No.417 of 2006 is challenged at the instance of the plaintiff of the said suit (hereafter described as the petitioner). 3. The petitioner- company as plaintiff filed Title Suit No.417 of 2006 against the defendants (hereafter opposite parties) for eviction of licenses and recovery of Khas and vacant possession of the premises in suit and other incidental reliefs. 4. The opposite parties are contesting the suit by filing written statement. 5. At the stage of recording evidence, the petitioner filed an application under Section 63 read with Section 65 of the Evidence Act stating, inter alia, that the petitioner misplaced some documents morefully stated and described in the “List of Documents” appended to the plaint during the pendency of the suit while renovating its office. It is however, stated that at the time of institution of the suit Photostat copies of the said documents were prepared by the deponent on behalf of the petitioner and the said copies of the documents prepared by mechanical process from the original are lying with the custody of the petitioner. The said documents in the form of letters are mostly sent by the opposite parties to the petitioner. As the original documents were misplaced and cannot be traced out, the petitioner by filing the aforesaid application prayed for accepting the Photostat copies of the said document in evidence in accordance with the provision of Section 65 of the Evidence Act. 6. The opposite parties contested the said application by filing a written objection wherein they denied the case of the petitioner regarding misplacement of relevant documents during the pendency of the suit. It is also contended by the opposite parties that Photostat copies of the documents are notadmissible in evidence as secondary evidence. Moreover, no such prayer can be entertained by a court until and unless the petitioner complied with the provisions of Sections 63, 65 and 66 of the Evidence Act. 7. By order impugned, the learned Trial Judge rejected the application on the ground that the petitioner had not exhausted the procedure to avail of the opportunity of bringing the Photostat copies of some documents on record as secondary evidence in support of its case. The petitioner also did not disclose the nature of the documents which were allegedly misplaced in the GD entry that was lodged by the petitioner in the local PS on 14th May 2010. 8. Mr. Kousik De, learned Advocate for the petitioner submits that the learned Trial Judge failed to appreciate that the petitioner stated the nature of the documents which it would want to prove during trial of the suit in the ‘list of documents’ appended to the plaint. It is specifically pleaded by the petitioner in the application under Section 63 read with Section 65 of the Evidence Act that the deponent as an employee of the petitioner company prepared Photostat copies of the original documents which were misplaced during pendency of the suit. It is further pleaded that the said Photostat copies were prepared by mechanical process through a Xerox machine from the original. Most of the documents areletters written by the opposite parties at various points on time admitting their status as licenses in respect of the suit premises. 9. Mr. De next draws my attention to Section 63 of the Evidence Act Sub-section (2) of Section 63 speaks of all copies made from original by mechanical process which in themselves ensure the accuracy of the copies, and copies compared with such copies are included as secondary evidence. He further submits that in accordance with Section 65 of the Evidence Act, secondary evidence may be given of the existence, condition or contents of a document when the original has been destroyed or lost, or when the party offering evidence of its contents cannot, for any other reason not arising from his own default or neglect, produce it in reasonable time. 10. It is urged by Mr. De that the petitioner filed the suit in 2006. On 14th May, 2010 the petitioner lodged a general diary in local Police Station informing loss of file containing all correspondence/documents in original relating to affiliation arrangements with the opposite parties concerning the suit premises. 11. In view of such circumstances, it is submitted by the learned counsel for the petitioner that the learned trial judge ought to have allowed the application for bringing secondary evidence on record in respect of the documents mentioned inthe list of documents. In support of his contention, he relies upon a decision of the Supreme Court in the case of J.Yashoda vs. K. Shobha Rani reported in (2007) 5 SCC 730. 12. Mr. Amal Krishna Saha, learned Advocate for the opposite parties, on the other hand submits that the petitioner has not mentioned the nature of the documents which it wanted to prove by producing secondary evidence. It is further submitted by Mr. Saha that Section 65 of the Evidence Act lays down the circumstances where secondary evidence may be given. Clause (C) of Section 65 permits a party to prove existence, condition or contents of a document by secondary evidence when the original has been destroyed or lost. In the instant case the petitioner unequivocally pleaded that the original documents were misplaced. Therefore, the condition of Section 65 of the Evidence Act has not been complied. 13. Mr. Saha next draws my attention to paragraph 5 of the application copy of which is annexed with the instant revision as annexure D. It is clearly stated by the petitioner that save and except the letter of revocation, all the letters were sent by the defendants to the plaintiff. Therefore, according to the petitioner the original letters appear to be in possession or power of the opposite parties in such circumstances secondary evidence of such documents cannot be entertained without serving notice to the opposite parties to produce thedocuments in accordance with the provisions of Section 66 of the Evidence Act. In view of such circumstances, according to Mr. Saha, learned trial judge correctly rejected the application filed by the petitioner and there is no scope to interfere with the said order. 14. It is also argued that the decision of the Supreme Court in J. Yashoda (Supra) supports the contention of the opposite parties under the facts and circumstances of the case. Accordingly no interference of the order impugned is warranted. 15. Having heard the submission made by the learned Advocates for the parties and on perusal of the impugned order as well as materials on record, I like to point out at the outset that the issue relating to admissibility of Photostat copies of document as secondary evidence is no longer res integra at present. It is held by this court in Biswajit Chakrabarty vs. Mira Sen Ray reported in (2002) 2 CLJ 449 that Photostat copy/Xerox copy of a document cannot be admitted in evidence as primary evidence. 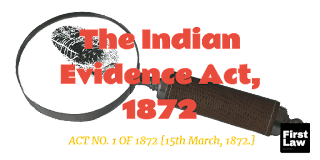 In view of the clear language of Sub-section (2) of Section 63 of the Indian Evidence Act, 1872, Photostat copy/Xerox copy is secondary evidence and can never be regarded as primary evidence. 16. Secondary evidence of a document is admissible only when the party desires of admitting it has proved before the courtthat it was in his possession or control. Thus, the party has to account for nonproduction of the original documents in one of the ways indicated in Section 65 of Evidence Act. “12. The provisions of Section 65 of the 1872 Act provide for permitting the parties to adduce secondary evidence. However, such a course is subject to a large number of limitations. In a cause where the original documents are not produced at any time, nor has any factual foundation been laid for giving secondary evidence, it is not permissible for the court to allow a party to adduce secondary evidence. Thus, secondary evidence relating to the contents of a document is inadmissible, until non-production of the original is accounted for, so as to bring it within one or other of the cases provided for in the section. The secondary evidence must be authenticated by foundational evidence that the alleged copy is in fact a true copy of the original. Mere admission of a document in evidence does not amount to its proof. Therefore, the documentary evidence is required to be proved in accordance with law. The court has an obligation to decide the question of admissibility of a document in secondary evidence before makingendorsement thereon. (Vide Roman Catholic Mission v.
18. In the instant case, it is ascertained on perusal of the impugned order that the learned trial judge rejected the application under Section 63 read with Section 65 of the Evidence Act mainly on two grounds- First, the petitioner has not exhausted the procedure to avail the opportunity of bringing secondary evidence on record and secondly, the nature of documents sought to be brought by secondary evidence has not been disclosed. 19. Learned trial judge failed to appreciate that the nature of documents were already mentioned in the ‘list of document’ appended to the plaint. The petitioner has specifically pleaded that the said documents were misplaced sometimes in April or May 2010. As soon as the matter came to the notice of the petitioner, it lodged a general diary in the local P.S on 14th May, 2010. It is pleaded by the petitioner that except the notice for revocation of licence, all the documents are letters written by the opposite parties. The learned trial judge rejected the petitioner’s application without giving the petitioner an opportunity to serve notice upon the opposite parties requiringthem to produce the letters written by them to the petitioner in accordance with the provision of Section 66 of the Evidence Act. From the submission made by the learned Advocate for the opposite parties, it is clear that the petitioner ought to have been given an opportunity to serve notice under Section 66 of the Evidence Act to the opposite parties before praying for production of secondary evidence. 20. In the instant case it is not pleaded by the petitioner that most of the documents which the petitioner wants to prove to establish its case are misplaced. The original documents are, therefore, not found and cannot be produced in evidence by the petitioner. Secondly, the Photostat copies of the said documents are with the petitioners. Thirdly, the said documents were issued by the opposite parties and therefore, one set of the said document are presumed to have been in custody of the opposite parties. 21. Under such circumstances, the learned trail judge ought to have directed the petitioner to issue notice upon the opposite parties requiring them to produce the said documents in compliance with Section 66 of the Evidence Act. If the opposite parties failed or neglected to produce the said documents in court, the learned trial court ought to have given an opportunity to the petitioner to adduce secondary evidence during trial of the suit. 22. For the reasons aforesaid, I am of the view that the impugned order is liable to be set aside. 23. Accordingly, the instant revision is allowed on contest, however without any costs. The impugned order dated 26th July, 2016 passed by the learned Judge, 7th Bench at City Civil Court, Calcutta in Title Suit No.417 of 2006 is set aside. 24. Learned trial judge is directed to rehear and dispose of the application under Section 63 read with Section 65 of the Evidence Act filed by the petitioner in the light of the observation made hereinabove. 25. It would be open for the opposite parties to challenge the genuineness of contents of any document, secondary evidence of which is proposed to be adduced by the petitioner during cross examination of the witness on behalf of the petitioner. Urgent Photostat certified copy of this order, if applied for, to be furnished to the parties expeditiously.